Home » Getting Technical » How can you access the Community Map of Canada vector basemap? Have you checked out the new Community Map of Canada vector cache? Are you curious to find out how you can start benefitting from the new basemap? Here are a few simple steps on how to include the new Community Map of Canada vector cache in your basemap picker. As announced a few weeks ago, Esri Canada is producing the Community Map of Canada basemap, an automatically generated vector tile basemap that is built using authoritative data contributions. Today we are happy to announce that the vector tile map is out of beta and available for production purposes. This map is the latest addition to the series of basemaps available for you in ArcGIS. The basemap is designed to look like the topographic raster basemap that we are all familiar with. Esri Canada harvests data from ArcGIS Open Data sites currently available across the country as well as other authoritative data contributions from our many Community Maps Program participants. Since the basemap is updated daily, it contains the most up-to-date data available anywhere. Hence, if you are looking for the most updated basemap, this is the one for you. Log in as an administrator for your organization. Click on “Organization” at the top of your screen. Click on “Settings” on the far right in the menu bar at the top of the page. Next, select “Map” in the column of options on the left. 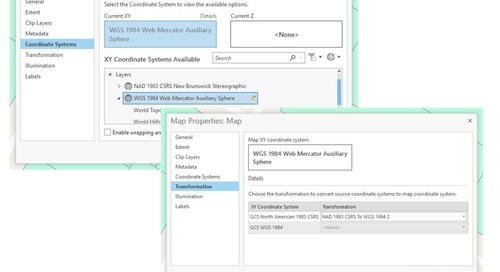 Remember to check the box for “Use Esri vector basemaps in supported ArcGIS apps” right below the dropdown menu bar. Be sure to save these settings for them to take effect. You should now see the Community Map of Canada as part of your many basemap options in ArcGIS Online. The Community Map of Canada vector tile basemap is just one of the many basemap options you now have at your disposal. Vector tile basemaps are quick to create, fast to draw and can be stylized to suit your needs. If you want to know more about vector tile basemaps and the Community Map of Canada, join our free webinar on April 9 or catch the recording of it that will be made available soon after. For information on participating in the Community Maps Program, contact us via email.